So I got back after like 2 years and was going to make a new character when this happened: I was going to use this to open my warehouse since I purchased this back when voting was a thing, but it disappeared instantly after I double-clicked it and showed in the chat that I apparently consumed the item. I obviously don't have any warehouse slots and double-clicking was purely on impulse (somewhat of a stupid move but uh yeah), so I'm wondering if the lack of warehouse slots caused the item to self-destruct? I would really like to know if this is a bug or something since I do need that item lol. Thanks for any response. Wait it came back after I changed maps... nevermind then, but is this still a bug or something? How do I delete my entire post history..
Now why would you do that! So many helpful posts! That thread is long since dead. It's safe to assume it's not being used anymore. Well it isn't like you can't use them. You can - they do have shields and a second stun, which can really help survivability, not to mention high levels of hunter smoke/bomb. Seeing as how both have the same level of foil and stealth (and how most people only put one point in each anyways (maybe a couple in foil, not too sure)) it really depends on your choice of final class. From here. In the future apparently there will be ways to do so, but at the moment, there are none. Weapons above lv 105 list ? -sighs- Back to the grind. 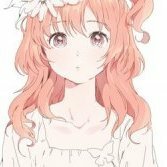 IRC Name: Miryle Most used character name: Alezia Spoken Languages: English, German Age: 16 Time playing Luna Online: 7 years. Time playing Celestia Luna: 6 years. Have you been a beta tester before? (do not include server names) Yes. Why do you want to join the Beta Testing Team? : Because I want to help eliminate bugs and make sure that the content released is clean and will not have a negative effect on the server. I enjoy this server, and I would like to help it become better. I've heard many things about this server having a lack of updates and how people want change. I believe that this beta testing team can help alleviate the complaints of many players who have just given up on hoping for an update. This game has so much potential, and I want to help bring it out. Maybe - it depends on the class. For destroyers especially, a full DEX built can be a lot stronger than a pure STR build solely because of the critical rate and damage. However for rogues, most go pure STR because they already have high DEX. The thing with pure DEX is you have to crit to deal damage. If you don't crit, your base damage is so low it's like the enemy felt a strong wind and that's it. It works better against paladins since crit, to some extent, counters a high block rate, but then again you have to crit to deal any significant damage. This is why destroyers go DEX because they have a lot of damage, and why rogues go STR because they have a lot of crit. Tl;dr, mixing them usually balances you out. You don't deal no damage if you don't crit and when you do crit you deal quite a bit of extra damage. The main reason destroyers go full DEX after 130 is that they get one-shot so easily. Even though VIT gives a lot of defense, you don't have a shield. That's why it's not as useful as DEX. People use swords as Fifin said: Rage Burst gives good critical damage. You could use axes to gain more critical rate but you lose out on critical damage. It's your choice. HB set provides more critical rate and damage, so if you crit a lot, you do ridiculous damage. Chivalry is more for raw power. If you crit you do decent damage, but even when you don't crit you still pack a punch. You also don't sacrifice defense if you choose Chivalry. Overall: Chiv = Playing safe. HB = Screwing stuff up. How To Destroy Paladin Block?and are block and eva are same? I heard you can counter blocking with a higher crit rate, but not by that much. A 25% experience boost to a full party? Nobody would solo anymore. What about the people that like to solo? Some people can barely kill monsters on their own now anyways, I see people dying more often than not in NH unless they're players that have main accounts and are leveling an alt or something. New players suffer a lot when they hit 90+. What about instead of 25% bonus at full party: Alone: 100% 2 ppl - 80% 3 ppl - 90% 4 ppl - 100% full party: 110% Bonus is calculated inclusive of the party leader eg. 2 people = 1 member + the leader This system basically means, if you have 2 people in your party, give 80% of the monster's exp that you would have gotten had you killed the monster alone to both party members based on their level. So for example if I'm level 105 and kill a Blue Beard Captain and get 100k exp, and my friend is 110 and gets 40k exp from them, give me 80k and give my friend 32k exp. Same thing goes for 3 people but with 90%. At 4 people just give full exp, no complicated system required. At a full party, give 110% of the exp you would get if you killed the monster solo based on your level. Using the case above, give me 110k exp and my friend 44k exp. I think you can only have a six-person party anyways, so I didn't include it. Tell me if I'm wrong (I probably am). This lowers the required amount of people to prevent any exp loss, and doesn't give an extremely high exp boost when with a full party. I think the default party setting at the moment is exp is split evenly between how many party members there are loosely influenced by the algorithm that calculates base exp gain when killing a monster alone. So a party with all level 105 will get more exp altogether than a party with two level 110s and one level 100. Making monsters harder would be too much work, I think. I mean if you really wanted to make them harder you could possibly lower the PVE damage scaling but... I'm not even sure there is such a setting. Or my entire post could be complete horse sh*t, take it all with a grain of salt. Please.